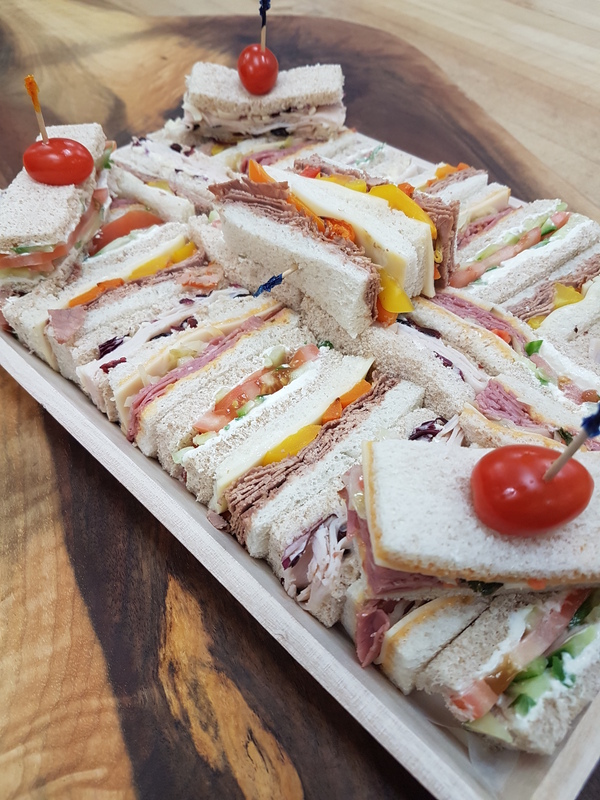 PARTY SANDWICHES ON A TRAY 5 DOZ. MIN. An assortment of tuna, salmon and egg salad and cream cheese with lox. 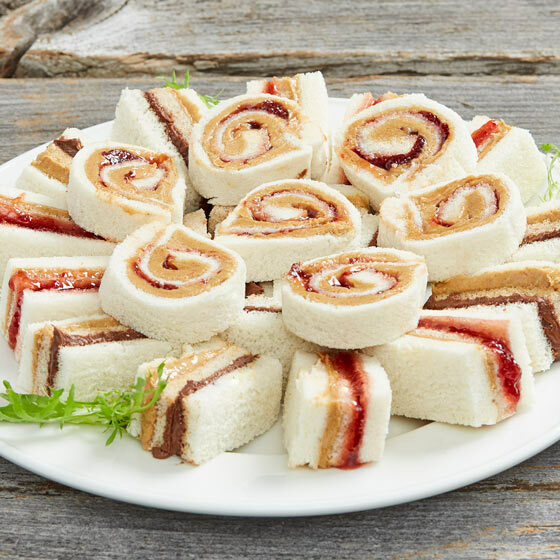 Includes an assortment of pinwheel, single layer and assorted mixed double layer sandwiches. 9.99 per doz. | 5 DOZ. min. 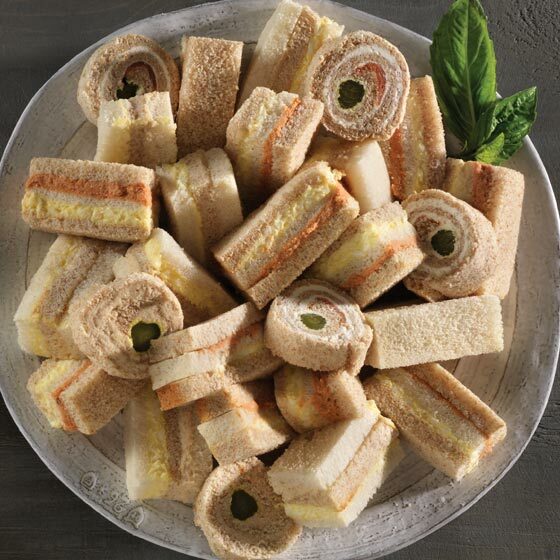 YOUNG at HEART PARTY SANDWICHES TRAYED 9.99 per doz. 5 dozen min. 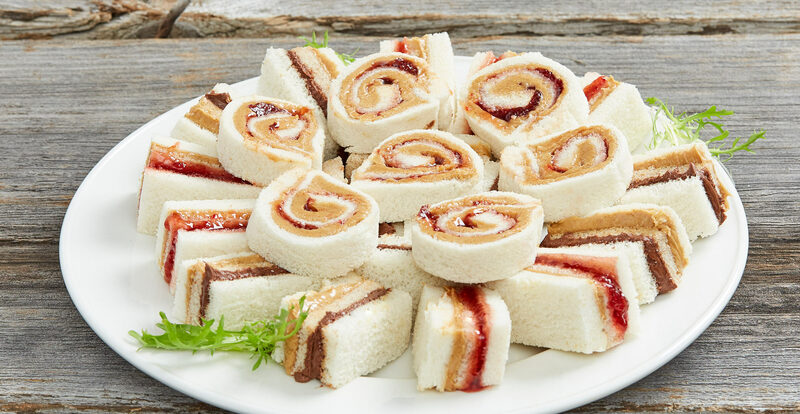 A variety of pinwheel, single layer and assorted mixed double layer sandwiches prepared using an assortment of peanut butter, jam and Nutella®. TRAYED 5 DOZEN MIN. 9.99 Per doz. An assortment of tuna, salmon and egg salad and cream cheese with lox. 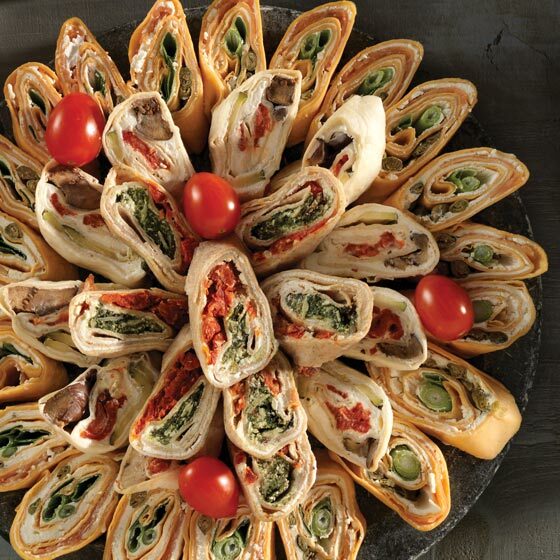 Includes an assortment of pinwheel, single layer and assorted mixed double layer sandwiches. Small changes to a box Additional cost An assortment of tuna, salmon and egg salad and cream cheese with lox. 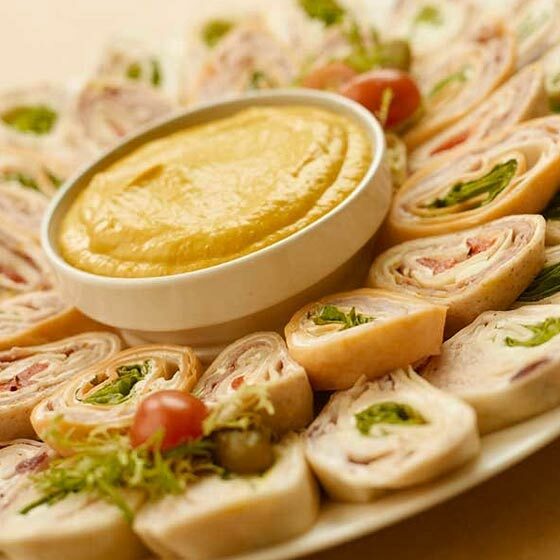 Includes an assortment of pinwheel, single layer and assorted mixed double layer sandwiches.